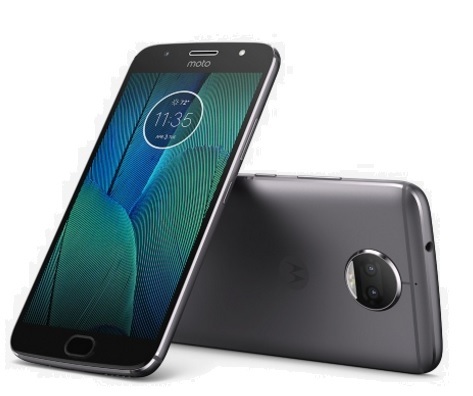 Motorola has launched two new mid-range smartphones, the Moto G5S and Moto G5S Plus. It’s worth mentioning that both new handsets are the successors of Moto G5 and Moto G5 Plus which were launched earlier this year. The device features all-metal unibody design and a 5.2-inch full-HD (1080×1920 pixels) display. Under the hood, the Moto G5S is powered by an octa-core Qualcomm Snapdragon 430 SoC clocked at up to 1.4GHz which is paired with 3GB of RAM. The onboard storage is 32GB, but it also gives users the option to further expand the storage via microSD card (up to 128GB). The rear camera is 16-megapixel equipped with phase detection autofocus (PDAF), while on the front there is a 5-megapixel shooter with wide-angle lens and LED flash support. For connectivity options, the Moto G5S comes with 4G LTE connectivity, Micro-USB, Bluetooth 4.2, GPS, Wi-Fi 802.11 a/b/g/n, and 3.5mm headphone jack. It also features a fingerprint scanner embedded in the Home button and packs a 3000mAh battery. The price of Moto G5S will start from EUR 249 ((roughly INR. 18,900). As the name suggests, the Moto G5S Plus is the larger variant of the former with 5.5-inch full-HD (1080×1920 pixels) display. It is driven by an octa-core Qualcomm Snapdragon 625 SoC clocked at up to 2.0GHz and will arrive in two RAM/ storage options, i.e. 3GB RAM/32GB storage and 4GB RAM/64GB storage. It has a dual camera setup at rear with 13-megapixel sensors, while on the front there is an 8-megapixel selfie camera with wide-angle lens and LED flash support. It is powered by an octa-core Qualcomm Snapdragon 625 SoC clocked at up to 2.0GHz. It is equipped with 4G LTE connectivity, Micro-USB, Bluetooth 4.1, GPS, Wi-Fi 802.11 a/b/g/n, and 3.5mm headphone jack, while also packs the same 3000mAh battery as in the Moto G5S. It also comes with fingerprint scanner. 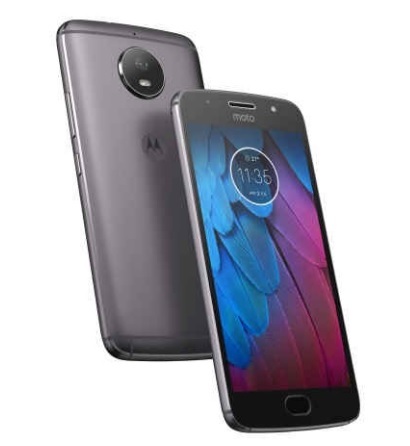 The Moto G5S is a dual-SIM device, but the Moto G5S Plus will be made available with single-SIM configuration only as the information received by the company. The price of Moto G5S Plus will start from EUR 299 (INR. 22,700).